One of the first things to come to mind when we hear Frankincense Essential Oil is Christmas and the holiday season. After all, according to the Bible, it was one of the precious gifts brought by the Magi (a.k.a. the three wise men). Plant Therapy offers three different varieties. There are many things these oils have in common, not to mention a few things that set them apart from each other. 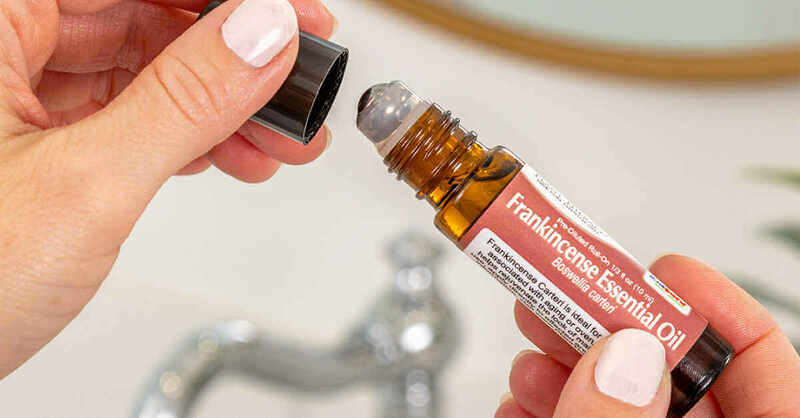 We’re here to break down each oil and share with you the top five ways to incorporate Frankincense in your everyday life. Keep in mind, all three varieties are available as an organic and Carteri and Serrata are available as a CO2 Extract. With more of a green, balsamic aroma, this variety is great for relaxing and meditation practices. Add a few drops to a carrier oil or your favorite unscented lotion and rub on for immediate benefits. If you’re looking for a soothing oil to diffuse in times of grief, reach for Frankincense Carteri. Of the three oils, this is the only one that is not KidSafe. It is also the best choice to aid in relief for aching or swollen joints. It can also be used to ease pain caused by menstruation. Combine with oils like Eucalyptus Globulus and Fir Needle to promote clearer breathing. This variety is well-known for its rejuvenating benefits when added to your skincare routine. It can help smooth the appearance of wrinkles, scars, dry and damaged skin. Add to a carrier oil and incorporate into your daily routine to take advantage of these benefits. When diffused, it can also help to support a healthy immune system. 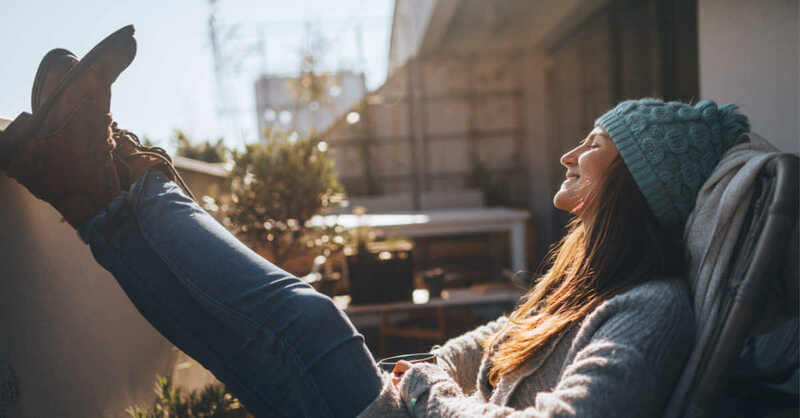 If you’re looking to help ease joint pain, bruises and other issues, whip up this easy DIY, massage into the affected areas, and enjoy the therapeutic benefits of frankincense. Melt the oils with the beeswax, stirring occasionally. Carefully remove to space on the counter. I lay out a dish towel to protect the counter. Stir in your essential oils. Allow the salve to cool, with the lid on so the oils don’t evaporate out. Leaving the salve set until fully cooled will ensure a smooth final finish on top! Frankincense could be effectively added to your skincare routine in a variety of ways. However, if you need a bit of inspiration, check out this amazing face mask. Sift clay to ensure all clumps are out. Mix in hydrosol and honey. Add essential oils and mix everything well. Transfer to the container, store in the fridge, makes about 3 applications. Because Frankincense can help support the respiratory system, it can be especially useful during the winter months. Add a few drops to your favorite diffuser or use it in a steam and sneak in a facial while you’re at it. What better way to enjoy the relaxing properties of Frankincense than during your yoga session. Mix up the Yoga Spray to freshen up your yoga mat or spritz on your favorite meditation spot. Add all ingredients to spray bottle. Last but not lease, Frankincense is excellent for immune support. 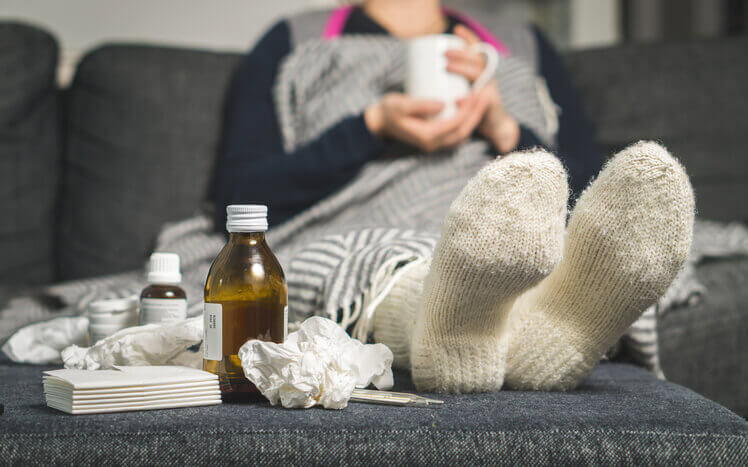 This is especially good because it is so often associated with the holidays and the cold winter months when illnesses are making the rounds. Consider using a personal inhaler or diffuse one of the KidSafe varieties to help keep the whole family healthy. This is so useful – love the recipes! I am trying to understand how one can get three different types of frankincense. Is it that they are derived from different parts of the plant? How is it that other essential oil companies only sell one and state all these benefits in one bottle? Thank you for your time. Sarah, the different varieties are a result of chemistry differences between them and notable aroma differences. Each is distilled in the same manner but you’ll notice their botanical names are different. The differences also come from the where the Frankincense is being sourced from, as different climates can produce drastically different qualities in an oil. As for other essential oil companies, you’ll have to reach out to them to learn more about the type of Frankincense they carry as we really can’t assume what their policies regarding this are 🙂 I hope this helps! Is frank serrata okay to use in a facial regime? Or is the other type recommended? Hi there. Is the frereana the better choice to be added to my skin care regimen? I just ordered the carteri and am wondering if I should make an exchange. Thanks for this explanation! I’ve been wondering about the difference between them. My favourite must have roller bottle is Frankincense, lavender and peppermint. What about sacred frankincense? What is it good for? Is it kid safe? What’s the maximum dilution for Frankincense Carteri CO2 Extract? This was super helpful! I kept going back and forth on which one to get and now I know! Thank you for all you guys do! I’m heading to the market today to pick up some Plant Therapy Frankincense! I can’t wait to add it to my skin care routine 🙂 this is a great post about which of the three is best for what! Thank you! So grateful that you include safety for our kids. 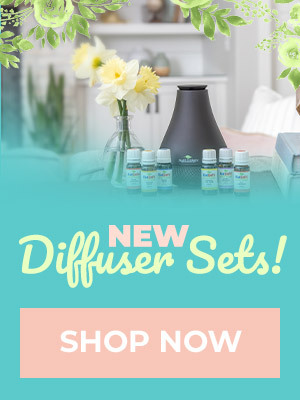 They’re actually the reason I got into essential oils in the first place and your site has been such a huge help – even the way you have a kid safe oils shopping page. Totally the best! I’m so grateful for this article!! I had no idea which one to choose for emotional stability but now I do. I have been buying the wrong Frank too. I use it for my skin. So now need to order Frankincense Frereana. The Carteri I will use it for joint and muscle ache. There are so much to learn about EO. Thanks I joined the blog. I’m still waiting for the Hydrosol Rose which has been out of stock since 2 weeks. This was very helpful in choosing which one was best for me. I wanted relief from joint pain in my thumb joints. Thank you! Drat, just when I thought I didn’t need any more essential oils, I see I need one more frankincense. It’s nice to have a handy place to see the comparisons. Thank you for another great blog. This article was incredibly informative. I may be less hesitant to purchase any of the Frankincense oils in the future. This is a really awesome article that I bookmarked so that I can refer back to it easily. I recently bought a frankincense oil and was confused on which one to buy so I just bought the most popular one. I love that this article really breaks down the differences between them. I am happy with my purchase but will probably end up buying another one too! Oh my! Where do I start my story with this oil? It is amazing how fast its action is! I’m using Frankincense oil for muscle pains and headaches, it works like a charm all the time! Literally, the pain is gone in 5 minutes or so! Thank you for the precious infos about this oils. I knew there are more than just one type of Frankincense, but didn’t know about the usage of it and the differences, and I’m sure to gathering all the recipes I can find now to make my own blends! Thank you for information Plant Therapy. Serrata & Carteri are part of my much loved collection. It sounds like Frereana will soon be purchased to add to my DIY hand creams. Such good info! I often wondered what the differences were! Thank you! I was looking at making Christmas gifts that someone had shared in a PT group last year of the 3 gifts: a roller with Frankincense, Myrrh, and gold (flecks) and I wasn’t sure which Frank to choose but now I know thanks to this blog!!! Thank you. New to EO and overwhelmed when I saw the different varieties. This helped in my buying decision. Thank you for this helpful information, It is great to see comparisons of the benefits. I love Frank S and after reading I bought Carteri when they were the spotlight oils. Love love love them both. Thanks for always sharing information and safety with us. Great article!! I needed this information when I ordered and definitely wouldn’t have felt as comfortable with my purchase without it. Still know I will be getting all the oils :-), but I started with my most needed! Thank you – I hadn’t put a lot of thought into there being more than one type. I’m going to order the Frereana for a skin oil. I’ve liked burning solid frankincense on a charcoal round, but would like to try diffusing or spraying to get away from the charcoal. are all 3 franks pregnancy safe? This was a very informative post. I get confused as to what variety to use some times so this helps alot!! Very good explanation of the differences between the three types of Frankincense. I love Frankincense Carteri, but plan to try them all. Thank you! Can you substitute the variants of Frankincense with each other? Like can you use Carteri for skincare and respiratory issues or Serrata for a minor wound? Love this post! It’s so helpful to have this explanation of the differences between the Frankincense varieties. I learned a lot! Great post! I love all of these and have wondered what the difference was. Thank you for this super helpful post! I used to think all Frankincense was the same! Now I know which types to use for specific things. I will definitely be mixing up the joint relief blend! Great blog about frank. Definitely going to try the Serrata soon sounds like a winner. I didn’t realize there were multiple kinds of Frankincense. Now I know which to choose. Great article. I started with Serrata and quickly fell in love with the smell. Then I added Carteri to my collection and I love it too, though Serrata is still my favorite. I need to try the Frereana next. Knowing me I’ll probably love it too. No such thing a too many essential oils in my book! Huge help on which Frank I needed! This is a great article! It is so helpful to see the differences in all of the Frankincense oils. Thank you for the helpful breakdown. I can’t wait to try the Frereana for some scarring. Informative post! Have always been curious about the uses of different species of frank. Just placed the order. Thanks! I am looking forward to the face mask! Thanks for the idea. Great info! Sometimes EO information can be so overwhelming! This was a great article about some amazing oils!! I didn’t really know much about the Frankincense oils and that there were different kinds. I will be definitely ordering one now. Thanks for the info! Frank is such a great oil! Thank you for clarifying differences between the varieties. Frankincense helps with my aches and pains and smells great, too. After reading this post the other day, I diluted frereana, clary sage and lavender fine with argan oil to put on irritation rashes + acne on my cheeks and they quickly calmed down and remained that way until today. I am running out and will be stocking soon. This is great! When I first ordered Frankincense, I asked the customer service rep about the differences between them. After she gave me the details for each, I (not so) jokingly said “Well, I think maybe I need them ALL then!” 🙂 I bought Frereana first (LOVE the smell of that one!) and later on got Serrata. And now I have Carteri on the way, which is scheduled for delivery today! Can’t wait to try out these awesome suggestions. Printing this one! I’ve been amazed at what Frankincense has done for healing and scarring in our famliy. I don’t love the aroma, but I do love its power. Very informative about frankincense. Love it !! Thanks so much for the great descriptions and uses…never knew the differences and now have some knowledge! Really appreciate the information PT…the best! I love Frankincense! I am definitely gong to try some of these recpies. If Frereana is the best for skincare, then why is it that your Anti-Age Synergy blend contains Serrata and Carteri and NOT Frereana?? Rachel, that is EXACTLY what I was about to comment! I have been doing a little more research on the different types of Frankincense, and I’m finding such conflicting information. And then I looked at my Anti-Age synergy, and that just confused me even more. I thought I remember reading a PT article stating there is some doubt as to if there really is differences among the three Frankincense varieties so I have been using Serrata for everything, including skin care. I love it , but it appears I need to order the Frereana. 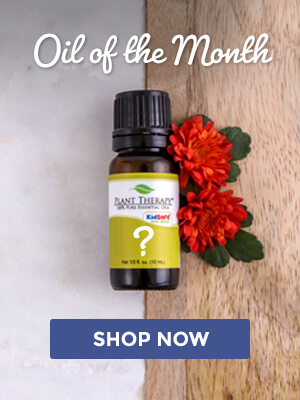 I had my eye on the Frankincense oils since they are featured this week with the Spotlight Oil of The Week discount, but had been considering Carteri. But this article has been helpful! Seems I’m not alone in using the wrong Frankincense for skin! Thank you for the post on the different uses for the Frankincense varieties. I knew that Frereana was good for skin but didn’t know the difference between the others. I want to make up the mask recipe but I don’t have Frereana yet. Which would be better for skin between Caterii and Serrata? This is so helpful! I always feel it’s a research project to figure out which one to use. Having this resource is going to save so much time! This is perfect! I’ve heard great things about frankincense in regards to skin care and now I know which one to purchase. Added bonus, I didn’t know it worked for menstrual cramps. Guess I’ll be getting two versions, good thing they’re the oil of the week. Such a helpful article on the differences in Frankincense. I’ve been using the Carteri for diffusing and in my skin care but will now be trying the Frereana and the Serrata for their benefits. Thanks for your great blogs. Great explanation of the different types and uses! Very helpful! This is such a helpful breakdown, thanks! Great article! I use Frankincense in my DIY face cream and realized I’ve been using the wrong one for the skin. Thanks for explaining the difference Plant Therapy! I did not realize how many ways you can use frankincense! This is an amazing article with great DIY’s! Thanks so much, for the helpful information. I never realized that there is a difference between frankincense. Thanks so much for explaining all of this great stuff to us, me. I am really excited because I am waiting on an order to come that should be here by Tuesday evening and it has Frankincense Carteri in it. My husband has a bruise on the inside of his left arm that is beginning to dissipate, but I am believing that this is really going to help him. Good to know the differences and how versatile this oil is. My husband takes a drop each day for thyroid healing and support. It really seems to be helping. Thank you for an informative posts and helpful recipes! I made the muscle & joint rub for family and friends last Christmas – looking to purchase the other Franks and give the other recipes a try this year. Thank you so much for this blog post! Now I know which Frankincense to add to my pain blend for the arthritis in my hands. With the weather turning colder here, the discomfort is getting worse. To prevent the jar cracking from heat, you can also fashion a double boiler. Use two pans. In the larger pan, fill it halfway with water and bring it to a slow boil. Place the smaller pan inside the larger pan for an indirect heat. It wont heat as quickly but it will melt the beeswax just fine. Be sure not to get any water in the pan with the oils and wax. Good luck and have fun. Another great blog. I love the recipes that are included as well and plan to make the salve. Of course, Frankincense essential oil is not what would have been gifted to Baby Jesus. It more likely would have been resin, or the sap, of the Frankincense tree. Distillation methods were not discovered until approximately 1000 years later. The mentioning of oils in the Bible, are most likely infusions of resins, herbs, or flowers. And, of course, we still enjoy aromatics-infused oils now! Can’t wait to try the muscle and joint rub. You might want to try Basil on your ankles. It has worked for me in the past. I have wondered about the uses for the different varieties of Frankinsence. I have Carteri in stock but it looks like I might need Frereana also! Thanks for the info! Very helpful post as I get confused sometimes as to which Frank to grab. Thank you PT. I love frankincense frereana. It’s only been a few weeks and my skin is great. Thank you for the wonderful blog post. Thank you for posting this! I am new to EOs and I ordered from your website for the first time on Friday. I ordered the Frankincense Frereana and had no clue which I was choosing. I definitely want to try the Carteri as well. I got an email that all Frankincense products are 15% off this week, so I might place an order before even receiving my first package! This was so helpful. I’m going to save this information in my eo notebook. 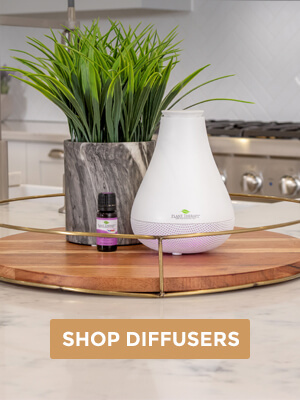 Thank you for not only bring a supplier of excellent quality essential oils, but also for educating your followers and providing recipes to help us address our ailments and enhance our enjoyment of essential oils. There is a lot of research about frankincense and cancer. Is one of these more effective than the other for skin cancer prevention? L e this blog! Now I can get the last frank I was waiting for. Such a good explainer of what each do! I was needing an oil for scars. Now I know which one to get! This is a great read. I have serrata already and I have the other two oils ordered. I love the frankincense serrata that I already have. This article helped me narrow down which Frankincense to try first, I was so confused by the choices. I am trying carteri first and hoping to try serrata next! Thank you for explaining the differences and providing suggested recipes! Thank you for elaborating on the various Frankincense. Very helpful! We recently had a massive tragedy in our life. A friend of mine recommended Frankincense oil for grief. I came to PT looking for a new Frankincense oil but was wondering which one to chose. I was thinking I wish someone would create a chart that lays out the basic uses for each oil…. then I remember about the blog. Sure enough, just 2 days ago a blog post on Frankincense! Thanks Plant Therapy for your blog, oils, customer service and helpful information. I like the idea of putting the metal rim in the pan. I worried about cracking jars when I had done it the other way, too. I love Frankincense Serrata! I need to make the blend with Lavender Fine and Cardamom, that sounds lovely for diffusing! Thank you! I’m on my 2nd bottle of Carteri great product! Been using this on my face. Upon reading the article maybe I should be using the Frereana kind. Frankincense is one of my favorites. It is always awesome to find new ways to use it.. I have been using Serrata with coconut oil on my face. Seems I was using the wrong Frankincense. There is no mention of ingesting this oil- is it safe to do so? One should only ingest essential oils under the guidance of a properly trained aromatherapist. In most instances, taking EOs internally is unnecessary and potentially dangerous. I’ve been using the wrong franensense in my facial serum this whole time. Who knew? Thanks for the article! I’ve had my eye on the frankinsences for awhile now and just bought the serrata. I’m so excited to use it for the first time after reading this article. My thoughts were to use it meditatively, but since I’ve experienced joint pain on-and-off since childhood, I think I’m going to see how it works for me in the joint-relief department as well! I had no idea there were different types of Frankincense! What a useful article so we can pick the right one for our purposes. Thanks for making it easy to figure out which frankincense I need to try first! Frankincense is definitely in my top 5 favorite oils! I used it postpartum to help with afterbirth contractions. It was a lifesaver!! I’d like to try diffusing it for meditation next. Picked some Frankinsense up for my Rhematoid Arthritis, but I’m looking forward to trying the other uses! This is a great read! I’ll be making this rub for sure. Thank you plant therapy! Was happy to see I am putting the right Frankincense on my wishlist! Thanks for another great post! 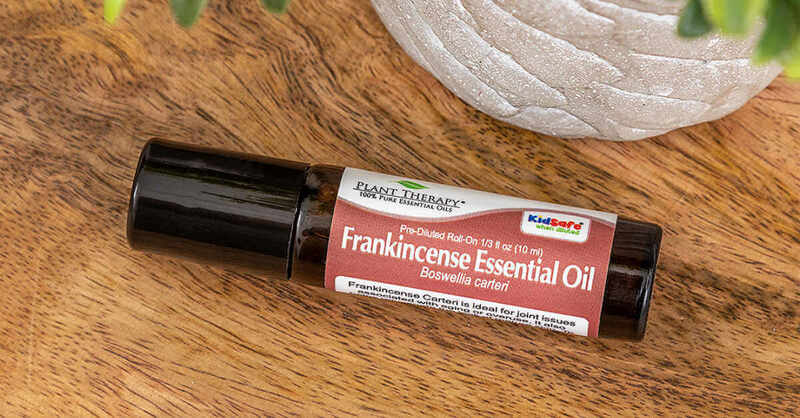 Frankincense is one of my absolute favorite oils and this article is perfect for explaining the difference between the scents and their uses. Thanks for this info! This was super helpful in learning more about one of the best oils out there! This was definitely useful for me to get to know the different kinds and how to use them properly. Thanks, Plant Therapy!! Wow I had no idea what the differences were. I just thought frankincense was universal. Thank you for taking the time to clarify which ones can provide more pointed uses. Amazing article! This answered all my questions not only on the differences but also its uses .I also love the easy to read and understand format in which it was written. Also the blend formulas ,thanks so much PT team, keep up the great and helpful blogs, lessons and formulas…I heart you!